If I said this book was incredible I'd be lying, the dialogue was mediocre at best, there are only so many time you can use the F-bomb in a conversation before it's like "hey, you know there are more words in the English language right". The book is in black and white, which is okay given it's telling a gritty story. But, the characters leave a lot to be desired, Eva is the girl Tyler has been hired to rescue, there is no background or anything that would make you engage in their struggle and worse towards the end there's a scene where all of a sudden Tyler has feelings for Eva, which completely does not make sense or follow with the rest of the story. By the end of the book I was so annoyed with the lack of direction that I wanted both Eva and Tyler to be captured and killed. 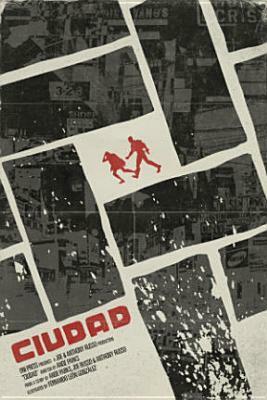 This book tries to play off on all the cartel/mob related conflict in South America to bring a gritty story, but it failed and it's a shame because there was potential there, it just wasn't capitalized on.